This question was asked by Jacqui from West Sussex, UK. If you drop an ice cube into a glass of water it will bob around until it eventually melts; icebergs are renowned for floating around oceans. But why does ice float when it’s basically made of the same stuff as water? 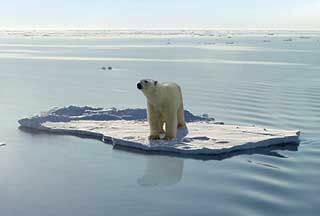 A bemused-looking polar bear floats along on a chunk of ice. (Image credit: unknown). Water is formed when 2 hydrogen (H) molecules join with 1 oxygen (O) molecule, which is why the chemical formula for water is H2O. When water is in a liquid state the molecules move around freely, but as the temperature drops the molecules lose energy and move more slowly. 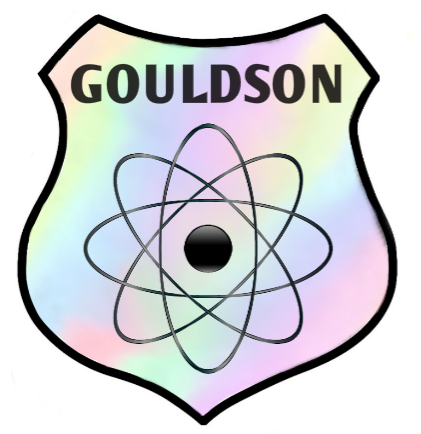 As this happens the molecules begin to form a lattice-like structure, creating a more rigid substance. This is what we call ice. Because the molecules aren’t moving around as much and are in a less flexible structure, they take up more room. Imagine people standing together in a cluster, and then holding hands at arms length; they take up more space in the second scenario because they need to stand further apart. The molecules in ice are just the same, and in fact ice takes up 9% more room than the same amount of water does. This means that the ice is less dense than water. Although they have the same molecules the ones in the ice have more space between them, and this is why ice floats. Ice is unusual in this regard – other substances are generally at their most dense when they’re solid, which is why most of them sink when placed in water. 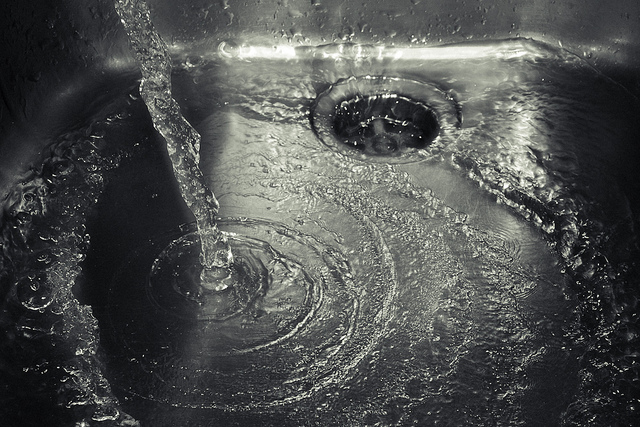 Does water always swirl the same way when it drains? 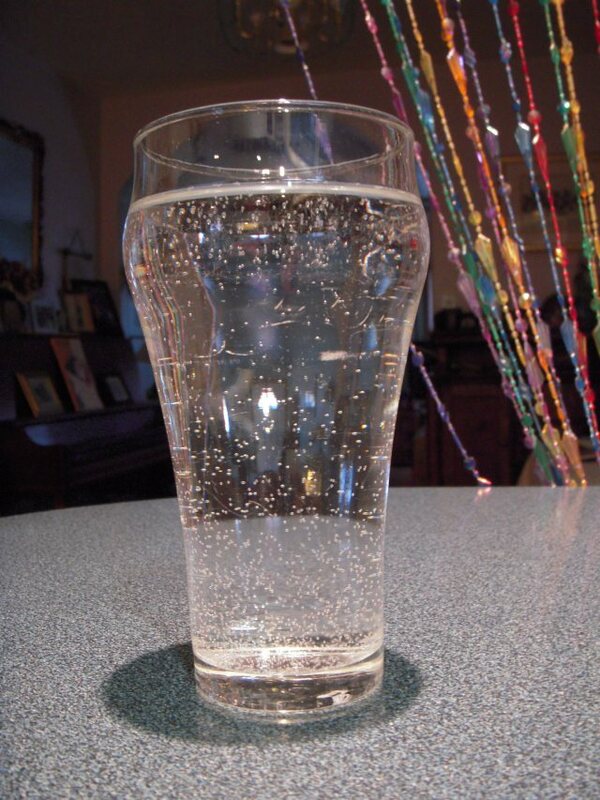 Why do bubbles form in a glass of water that’s been left for a while? Why is the sea blue when water is clear?